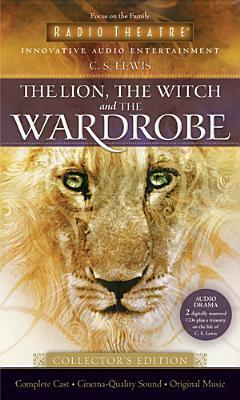 Experience innovative audio entertainment with this collectable Radio Theatre adaptation of "The Lion, the Witch and the Wardrobe." This elaborate production features a cast of over 100 actors, cinema-quality sound, and original music and effects. Go beyond the story and enter into the world of C. S. Lewis with a full-color, eight-page booklet complete with biography, phot Experience innovative audio entertainment with this collectable Radio Theatre adaptation of "The Lion, the Witch and the Wardrobe." This elaborate production features a cast of over 100 actors, cinema-quality sound, and original music and effects. Go beyond the story and enter into the world of C. S. Lewis with a full-color, eight-page booklet complete with biography, photos, letters, essays, and more.